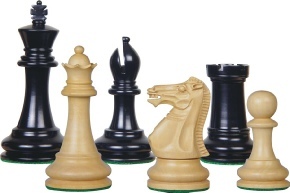 The club enters three teams of six in the Edinburgh Chess Leagues. The first team is currently playing in Division 1 and the second and third teams in Division 3, the lowest division. Home matches are played on Monday evenings at the Corstorphine Hub 191 St John’s Road, Corstorphine and away matches at clubs as far apart as Dunbar and Broxburn. A team of four is also entered in the Edinburgh Allegro League with matches played at the Slateford Bowling Club roughly once a month during the season. These games have a quicker rate of play with each player allowed thirty minutes to complete all moves. The club enters a team of five in the Scottish National Chess Leagues with matches again roughly once a month and the team currently plays in Division 4. The matches are played at the Carnegie Conference Centre, Halbeath Road, Dunfermline. The club championship is a knock-out competition open to all members and takes place during the season September to June. The Silas Wells competition is a quick-play all play all competition completed in one evening early in the season. It is open to all club members and is held annually in memory of a former club member who died tragically young. The Summer Cup is a competition organised by Chess Edinburgh and is played between April and June when most Leagues are complete. The competition is a knock-out competition with handicap and the club enters one team of six. For those teams knocked out in the first round there is a secondary knock-out competition the Summer Plate played over the same time-scale. A silver quaich is presented annually at the AGM in September to the Club member whose CS grading has increased the most year on year. This is presented in memory of Bruce Crerar, a stalwart Club member for many years. The Brian Wurr Memorial Trophy was gifted to the club by Sheila Wurr, widow of Brian Wurr who was a Civil Servant working in the Inland Revenue. 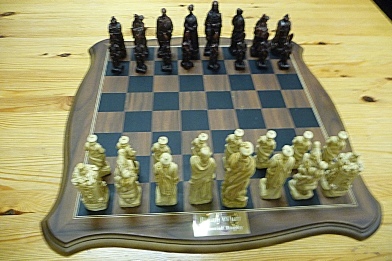 It consists of a Battle of Culloden Chess Set shown below and is awarded annually to the winner of a challenge match between the chess club and a team from the Edinburgh Civil Service Chess Club.